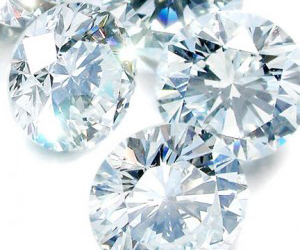 The official birthstone of April, diamonds have long been sought after for their elegance and sparkle. Although the most popular diamonds are clear and colorless, natural diamonds may be nearly any color including yellow, brown, green, red, blue, and even black. In ancient times, diamonds were desired not only for their hardness, but because they were thought to bring the wearer good fortune. Diamonds are mined all over the world and there is even a 1.7 carat diamond on display in the Smithsonian that was found in Brown County!